Content architecture is the time and place for content design. It connects strategy to execution. Content architecture takes the learnings from content strategy helps solves the problems identified to effectively manage and distribute content everywhere. We see three key elements to content architecture; workflows, content models and author experience. That is not to say, there are only three and these are the right three. Instead, when designing for content we’ve found that three things contribute greatly to understanding and solving the problems related to content. To design for content. To ensure that a service meets the needs of the customer (and not more than that) we use a process called “Working Backwards” in which you start with your customer and work your way backwards until you get to the minimum set of technology requirements to satisfy what you try to achieve. Author Experience. We started speaking about this many years ago when we observe first hand the challenges content producers had trying to ship great content within the business. Workflows. The end to end processs, or content management lifecycle, is rarely understood or documented, and as a result poorly executed. Content Model. The means to capture structured content is a format that is useful and useable leads to the lack of communication around content. The three are connected and feed of one another. Workflow is all about process. We scope it to cover the end-to-end management of content, from production through to distribution. From the internal customers producing content (copy editors, journalists, researchers), through the raft of intermediaries reviewing, translating, personalising, and reusing content, to those consumers interacting with the content. Seeing the process laid out is a great moment. You see who does what. Making decisions on whether to automate this task or keep it human. It’s critical to understand the true end-to-end flow of content because helps shape our requirements and surface those restrictions for transporting content from its multiple sources to its multiple targets. This has a direct impact on how best we should structure and add meaning to content in the first place. Process is good but there’s more to life than efficiency. Author experience is about being effective and enjoying how you do what you do. Coming into work, and being forced to use tools with user interfaces like Pac-Man is definitely not enjoyable. We’re used to working with tools that deliver superior customer experiences such a Google, Uber, Spotify, AirBnB and Facebook. Why should authors leave all that at the door when they come to work and sit in front of a CMS? Not convinced. Think about Word and its gazillion features. What if Word applied machine intelligence and learned how you use it day to day. Everyday, Word proactively removed/hid all the features you don’t use and placed more emphasis on those that you did. After about month, you’d lose 90% of Word but have a tool tailored to creating the kind of documents you author. If fact, that’s what we proactively do with the CMS implementations we build. We switch a lot of bling off to focus on the features that help authors achieve the workflows we designed to make their lives simpler. Better author experiences. We believe that great author experience leads to even better customer experiences. Workflow design and author experience are important. Content modelling uses them as key inputs for requirements. Like any other design activity, content modelling is constantly making trade-offs between the available requirements and known restrictions. So we have to be absolutely clear what those content requirements and restrictions are, if we are to design content models that satisfies them. We need to have that content strategy that primarily informs our decision-making, and later is informed by the results of content modelling as we validate our requirements and overcome those restrictions. 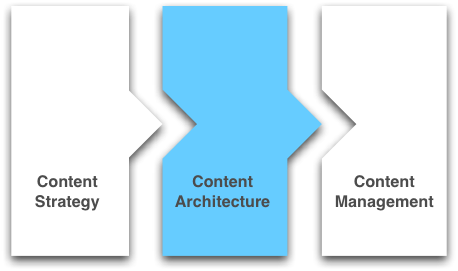 Content architecture provides the design input into any content management solution. It is not a replacement for content strategy. It is a compliementary concern. Content architecture takes the whys and whats of content typically captured as part of a good content strategy and puts them to good use. Documenting content types and the relationships between other content types, devices, users and sites. The reality is that we all do a bit of content architecture anyway, but under a different name within our own projects. Content modelling? Workflow design? Metadata and taxonomy? Content analysis? You name it. However, as a technologist, it is easier to make the case for content architecture to our clients than it is to lobby for content strategy from the outset. Architecture implies design and that’s the outcome were shooting with content. 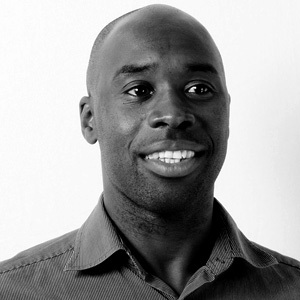 In 2011, I gave a five minute lightning talk on content strategy. Since then, there have a few talks, presentations and workshops around content architecture. Hopefully, you’ll find something useful or let me know if you don’t.